The legalization of cannabis was a cause of celebration for many a marijuana fan. But with great power comes great responsibility—yes, we’re talking about the laws surrounding the legalization of weed. And these laws can sometimes be a bit hairy when it comes to figuring them all out. But we’ve got your back. On July 1st, 2017, Nevada became the fifth state to legalize recreational marijuana. And since we’ve got MedMen spots in the bright city of Las Vegas, we’re going to be breaking down the basics of the marijuana rules in the great state of Nevada. Let’s start with the purchasing of cannabis. Buying marijuana in Nevada can only happen from a dispensary or state-licensed outpost. In fact, it’s illegal to purchase cannabis from any other source, lucky for you, that’s where MedMen comes in. But remember: anyone purchasing marijuana must show a proper form of ID to prove that they are 21 or over—that’s why we ID before entering a store. There are also restrictions on where you can consume your cannabis. You can’t use marijuana in any public space and you cannot use it while in a moving vehicle, even if you are a passenger. So, where can you enjoy it? On private property—your home, your friend’s home, and so on—as long as the property owner has not prohibited it. Nevada also allows adults that are 21 and over to legally grow marijuana at home for personal consumption, but you cannot be within 25 miles of a state-licensed retailer. If you’re safely outside of the 25-mile range, you can grow up to 6 plants per person, but no more than 12 plants per household. Plants also have to be grown in an enclosed area that has a lock or another form of security, they cannot be visible from a public space, and the grower has to either own the property where it is grown or have permission to grow from the owner. And there is the final rule to remember: It is illegal for anyone under the age of 21 to buy, possess, or use retail marijuana. So, there you have it! 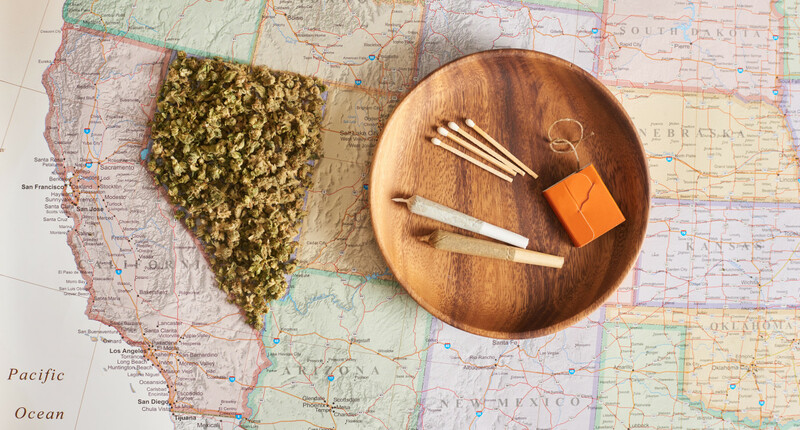 The basics of marijuana laws in Nevada. From the necessity of private consumption to the legal amount you’re allowed to carry, be sure to study up and become fully aware of the ins and outs so you can enjoy responsibly and safely! Make MedMen your cannabis shop in Las Vegas.